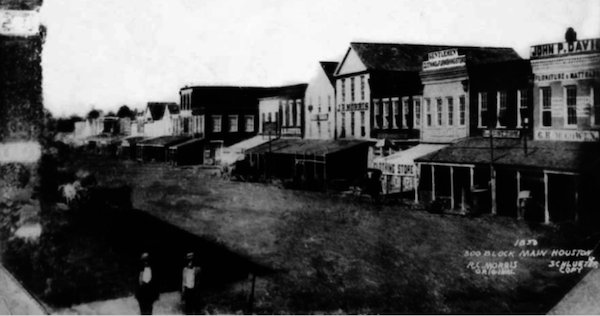 According to the HPL’s abstract, this 1856 shot of the 300 block of Main is the oldest known photograph in the Houston Metropolitan Research Center archive. The caption goes on to say that this iteration of 300 Main was not long for the world. Fire soon claimed all of these wooden storefronts, which, by 1866, were replaced by these more substantial brick edifices. The oldest known photograph of London is to go on display to the public - but visitors will need £25,000 to take the rare picture home. The image, believed to date to the early 1840s, shows a familiar view to workers in the City of London, looking from Gracechurch Street down Fish Street Hill towards the Monument. It is a daguerrotype, the first commercially successful way of producing permanent images with a camera, which involved fixing the picture on a copper plate. The method was invented by and named after Frenchman Louis Daguerre in the late 1830s, but with patenting and licensing challenges, there were very few early adopters in London. 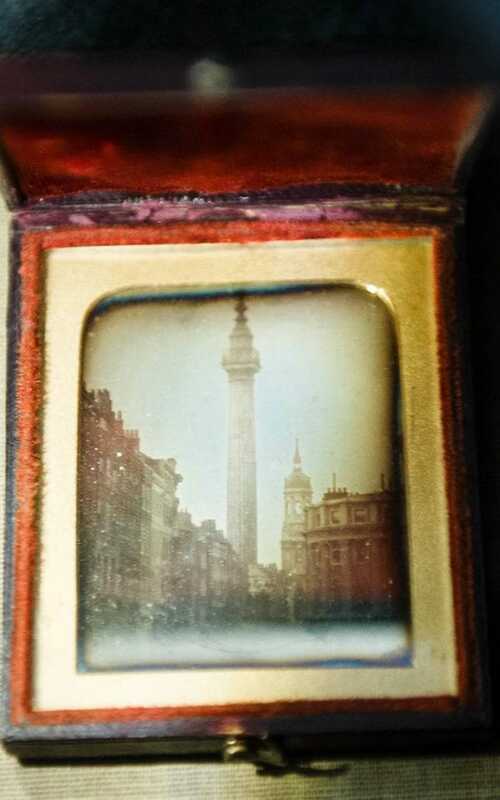 The photographer in this instance is thought to be either Antoine Claudet, a student of Daguerre, or Richard Beard, who had the patent to undertake the process, and had a studio in king William Street near the Monument. 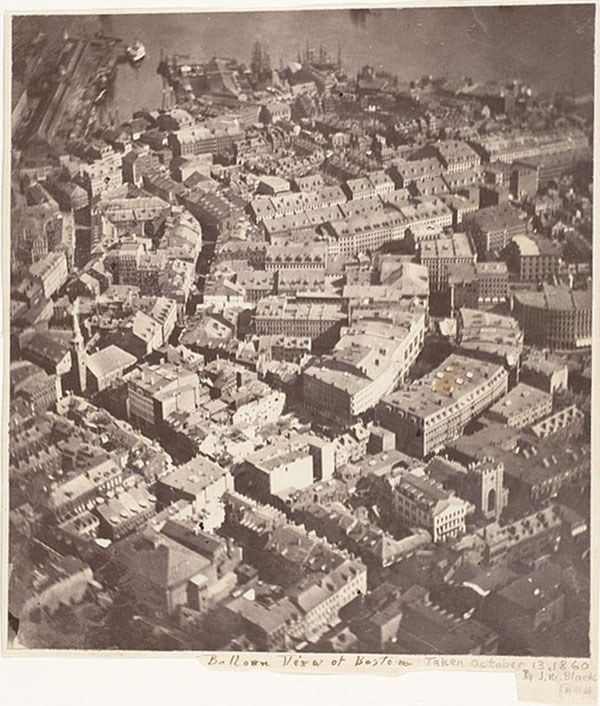 This photograph of Boston is not only the earliest surviving photo of the city, but the world's first aerial photo captured from 2,000 feet above it. “Boston, as the Eagle and the Wild Goose See It” was taken by James Wallace Black in 1860. The photo, taken from a hot air balloon (the Wright Brothers weren't even born yet and wouldn't invent flight for another 43 years), is currently in the caring hands of the New York Metropolitan Museum of Art. While San Francisco was founded in the late 18th century by Spanish Colonists (several groups of Native American peoples were of course the original occupants of the territory), the city did not really begin its development into a thriving metropolis until after the Gold Rush. The Gold Rush brought a remarkable influx of immigrants through the prospect of panning for gold in rivers and streams. These immigrants were a fundamental part in the incredible expansion in trade through San Francisco which brought the city to a truly international level – only four years after the discovery of gold in California this booming city was only behind New York, Boston, and New Orleans in its amount of foreign commerce. They were also crucial and shaping the city’s politics and diverse culture. This exhibit will take a closer look at the booming development of San Francisco in its early years after the Gold Rush, and specifically the role that immigrants to the city played in that development. 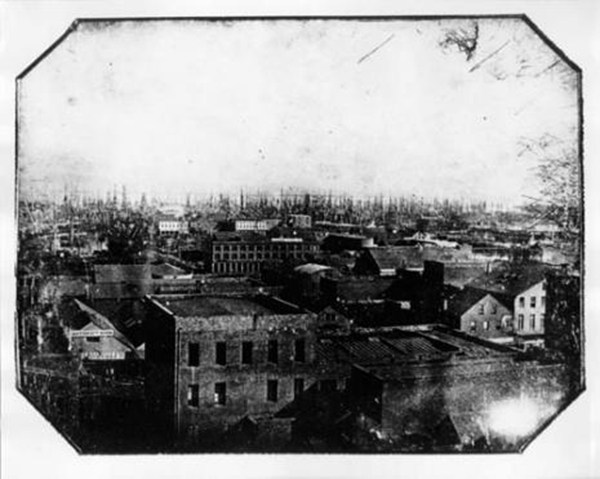 This is the oldest known photograph taken of San Francisco, a daguerreotype from the year 1850. If you look in the distance you can see the hundreds of ships that rest abandoned in the bay. This was a common occurrence during the years of the Gold Rush, and remained as such until San Franciscans began reshaping their city, initially using the wood from the ships to plank the dirt roads that ran through the city at that time. 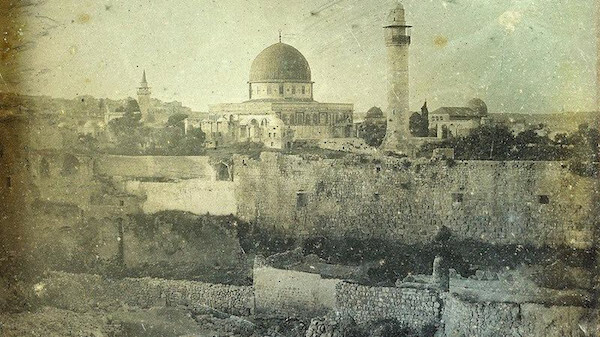 There are few places in the world that are contested as Jerusalem and the city has once again been highlighted in an exhibition in Washington’s Smithsonian museum showcasing the earliest photos ever taken of the Holy City. The photos, which went on display recently, were taken by French photographer Joseph-Philibert Girault de Prangey in 1844. According to online magazine Retronaut, they weren’t discovered until the 1920s, in a store room on Girault’s estate. Retronaut added that Girault de Prangey was keenly interested in the architecture of the Middle East and he toured Italy and the countries of the eastern Mediterranean between 1841 and 1844, producing over 900 photographs reflecting his travels. In 1856, a photographer standing on the roof of a hotel at King St W., and York St., captured a panorama of Toronto, which might be the first photograph of the city. The panorama starts on the west corner of King St W., and moves clockwise, capturing a north-looking view of York Street, an east view of King Street and ending with a southerly look south down York Street., where you see how Front Street used to meet Lake Ontario. One of these visitors was Italian-British photographer Felice Beato, whose work we’ve looked at before. After moving to Yokohama in the early 1860s, Beato was in a position to travel the country and capture images of it during the final days of the shogunate, which was about to be overthrown in the Boshin War and Meiji Restoration by progressive samurai, such as the members of this group from Satsuma (present-day Kagoshima Prefecture) whom he photographed during the conflict. The man best remembered for photographing a beardless Abraham Lincoln also took what's likely the oldest-known photo in Chicago history. 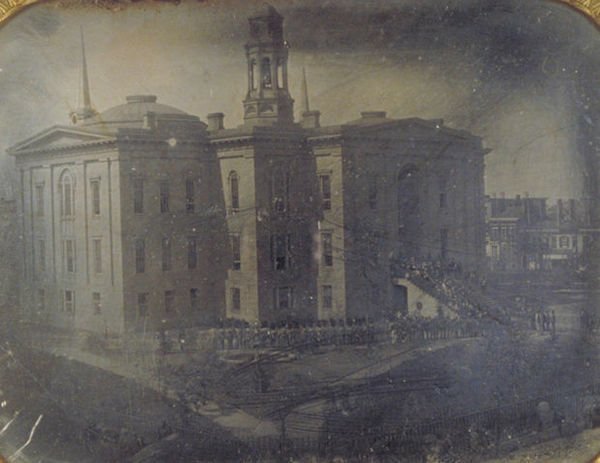 Alexander Hesler's 1855 daguerreotype of the Cook County Court House and City Hall is the oldest image available at the Chicago History Museum. It's also probably the oldest image in the city's history, according to Russell Lewis, ‎executive vice president and chief historian at the museum. Lewis said the 8-by-10-inch daguerreotype is not on public display. He said it was donated by Dr. Otto Schmidt, who was president of the Chicago Historical Society in the 1920s. Hesler, a Quebec native, moved to Chicago in 1855. He stayed in the city until after the Great Fire of 1871, moving to Evanston before returning to Chicago in 1880, according to the book Encyclopedia of Nineteenth-Century Photography. One of the earliest surviving photographs of Manhattan, a bucolic 1848 scene of white picket fences and open fields, is going up for sale at Sotheby's. The half-plate daguerreotype, identified on the back as on "the main road called a continuation of Broadway", was taken in what is now the Upper West Side. It shows a farmhouse sitting at the top of a rise while Broadway, then an unpaved track, runs below. Sotheby's estimates that it will sell for $50,000 to $70,000 when it goes under the hammer next Monday. 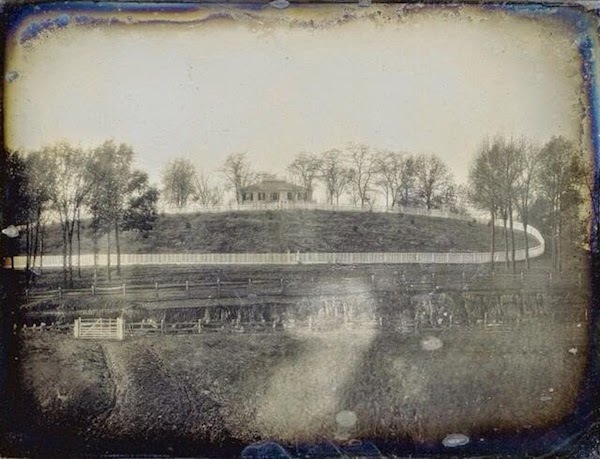 Photographic evidence of the era is rare as the daguerreotype equipment was based at the southern tip of Manhattan and tended to take pictures only of the immediate area. Photographer Robert Hunt shot some of the first photos of Sydney. 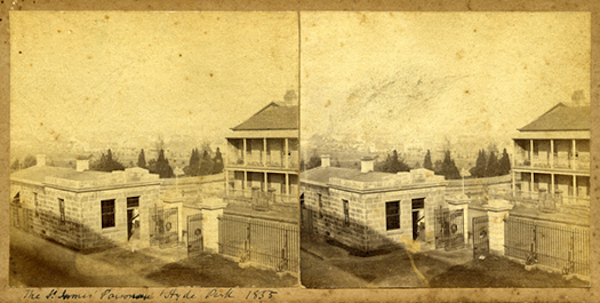 This stereograph of St. James Parsonage on Macquarie St. was taken in 1855 from the Mint Building, itself the oldest public building in the Sydney Central Business District (built 1811). It remains one of the earliest surviving outdoor stereo photographs of New South Wales. 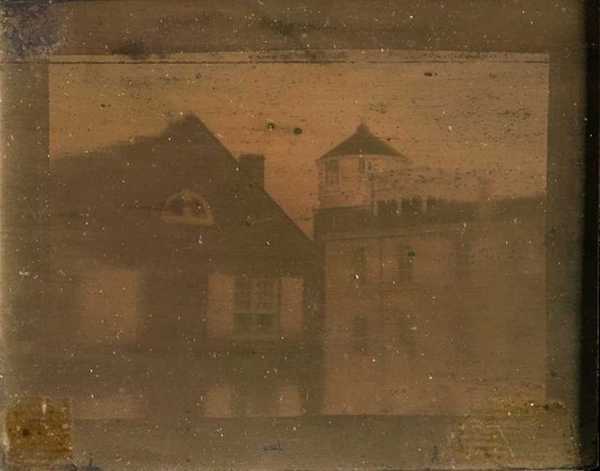 This 1839 daguerreotype shot by Joseph Saxton is not only the oldest photo of the city of Philadelphia but the earliest surviving image made in the United States. It shows Central High School at Walnut and Juniper sitting next to the Philadelphia Armory, taken from what was the U.S. Mint at the time, where Saxton worked. His "camera" was composed primarily of a lens and a cigar box. The image is part of the collection of Lee Arnold, director of the library and collections at the Historical Society of Pennsylvania. 12. Who Took the First Photo of Los Angeles? Widely considered the earliest photograph of Los Angeles, the origin story of this image remains something of a mystery. Who took the photo, and when? Though the image and the historical record offer clues, they provide no definitive answers. What we do know is that some day in the early 1860s, a photographer climbed to the top of Fort Moore Hill and turned a camera southeast toward the Los Angeles Plaza. The city was bigger then than this photograph suggests. The principal subject of the photo may be the Los Angeles Plaza, but behind the Alameda we see an expanse of vineyards, orchards, and fields stretching to the distant and barely visible Los Angeles River. 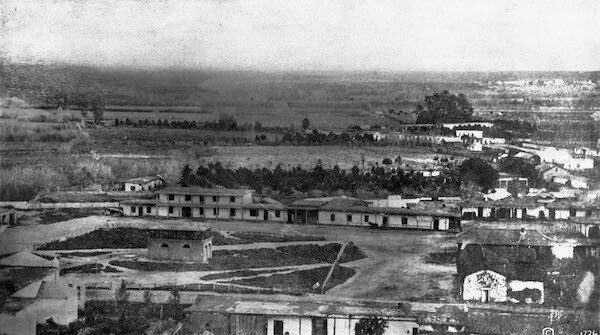 Absent are the houses, shops, hotels, and other buildings that were home by then to nearly 4,400 Angelenos, in the growing Sonoratown barrio to the plaza's north and in the booming Anglo-American sector to its south. 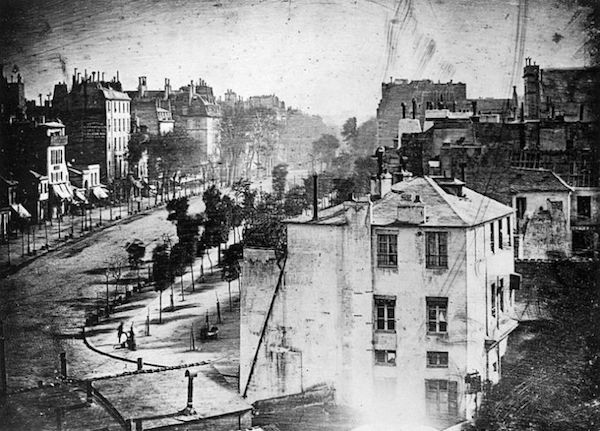 The photo of the Boulevard du Temple in Paris dates back to 1838 and was taken by Louis Daguerre (inventor of the daguerreotype process of photography) himself. To achieve the image, Daguerre exposed a chemically treated metal plate for ten minutes. There are other people in the photo, but they were walking or riding in carriages down that busy street that day. Because they were in movement, they didn't show up. The man in the lower left corner stood still long enough to leave an image and is now known as the first human ever photographed. 0 Response to "13 First Sighting Photos Of Cities In The World"